Get Instant VIP Access to ALL of Tracie’s free resources by entering your details in the box below. 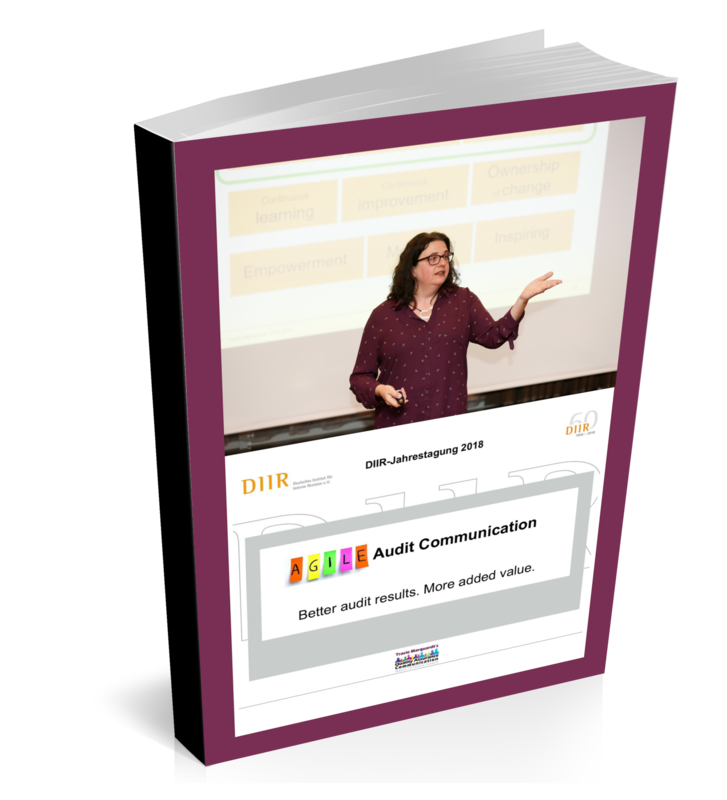 Download my presentation to the German Institute of Internal Auditors to learn about five Agile Communication concepts and their benefits. 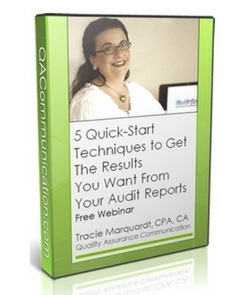 Transform your audit report writing skills with this one webinar, where Tracie shares her proven techniques and strategies to optimize your audit findings and recommendations. You learn the structure and language to use to signal each attribute of the finding so you take the reader by the hand through your argumentation. Appropriate recommendation language and structure will ensure your recommendations are easy to agree and acted upon. In this one-hour webinar, international internal auditors will get the techniques and strategies they need to get better results from their audit reports – immediately. 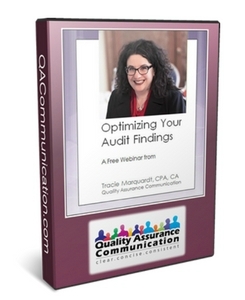 You learn the single-most effective technique you have at your fingertips to persuade your audit stakeholders in writing, language to ensure your recommendations result in action, and how to deliver bad news in a way that your audit clients will accept, and much, much more. 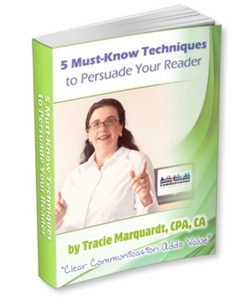 Are you struggling to communicate effectively in writing? If you are, then grab this e-book to find out how you can persuade your readers to take action and make a positive change in your organization. You get proven techniques and strategies including how to lessen the pain of negative results, a systematic method to bring your readers to the same conclusion as you, and proven techniques to inspire your reader to action. Don’t miss out! Grab the full Free Resources Bundle right now. Fill in your details below and get instant access! If you prefer to download each free resource individually, click on the item you want below. As a bonus for downloading the free resources from Tracie, you will also receive a free subscription to her monthly newsletter, Up Your Impact! You will get coaching and advice on how to communicate clearly and persuasively in today’s dynamic international business environment.